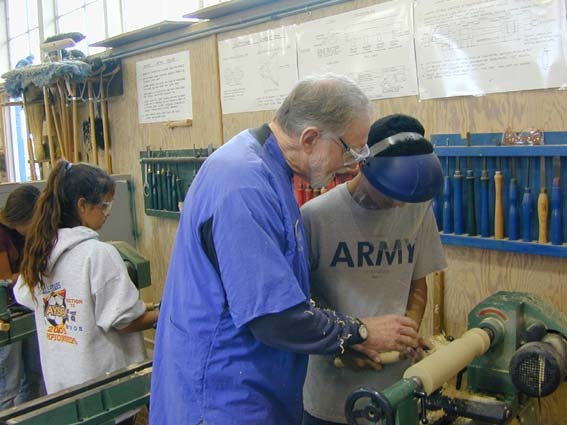 Students who take woodshop classes at Cabrillo Middle School, a public school in Ventura, are major beneficiaries of Channel Islands Woodturners. Members volunteer to share their time and knowledge mentoring the students who want to learn woodturning. Our goal is to help students build self-esteem using the lathe and experience the fun of woodturning. 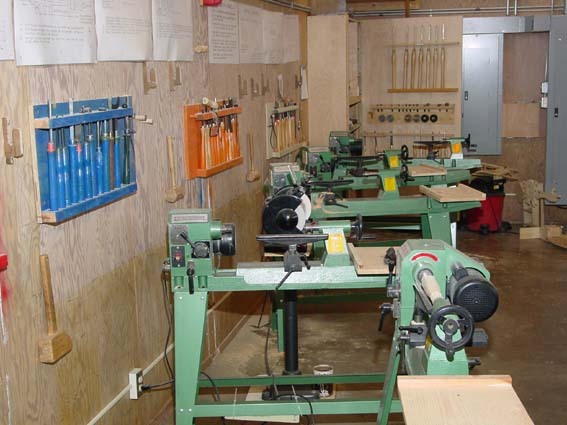 The chapter donates tools, equipment and wood blanks. 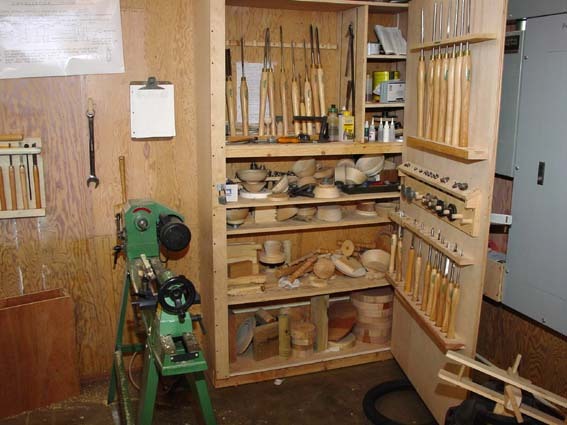 Our chapter also supports students who need assistance purchasing materials for other woodshop projects. These HSS tools and scroll chucks were purchased with a grant from the AAW and chapter monies. Some of the 7 lathes available for the students. 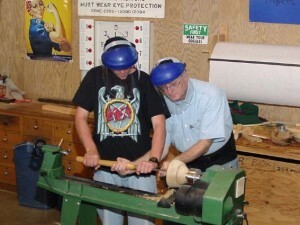 David F. helping a student with bowl gouge. 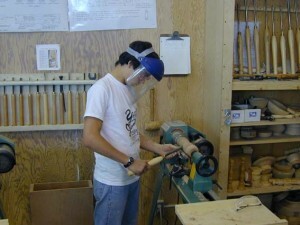 Each student is encouraged to have a hands-on experience.